April 26, 2017. 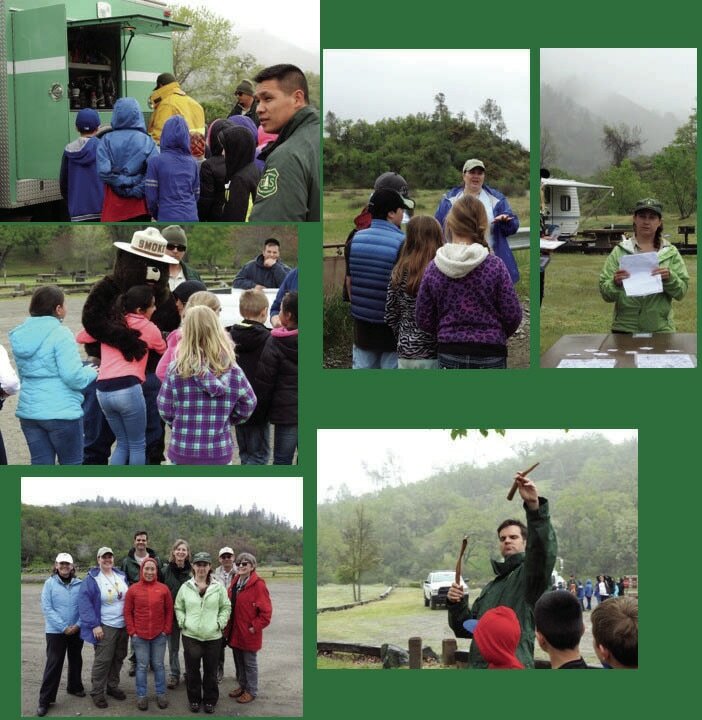 Four Lake County RCD board members and Mendocino National Forest fire crew and natural history experts spent a damp and drizzly morning helping fourth graders from Terrace School in Lakeport learn about Botany, Aquatic Organisms, OHV Safety, Archeology, Hydrology, Wildlife Ecology, and Fire Safety -- all topped off by a visit from Smokey Bear! Thanks to RCD president Charlotte Griswold for the photos.